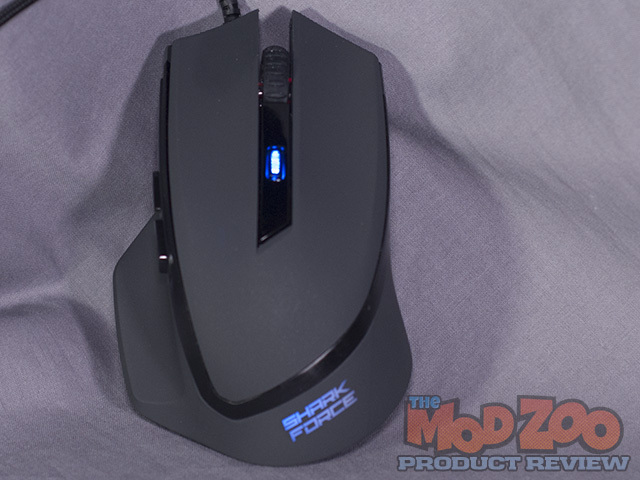 The selection of a new mouse, especially a gaming mouse, is an intensely personal decision. This selection can often be made all the more difficult by the ever expanding choice of mice on the market as well as the hype generated by the marketing departments involved directly with each brand. Often, gamers are told that true quality is defined by the price tag. We get told that unless you spend top dollar on your next device purchase that you are simply wasting your money and will regret that purchase. Sadly, this is often not the case, as many a gamer who has a selection of ‘regretful’ purchases can tell you. Listed at €10.99 (Approx $14.25 as of the writing of this review on Sept 14, 2014), the SHARK Force definitely falls into the ‘budget’ category. This price range normally relegated to throwaway travel mice, the mice you give to your grandparents or children, or the mice your employer tosses your way when you complain that your regular mouse is crap. Does this mouse fit any of the above descriptions? With their stats out of the way, let’s dig into my impressions.